James A. Bishop 14k gold presentation badge. Presented to Jas. 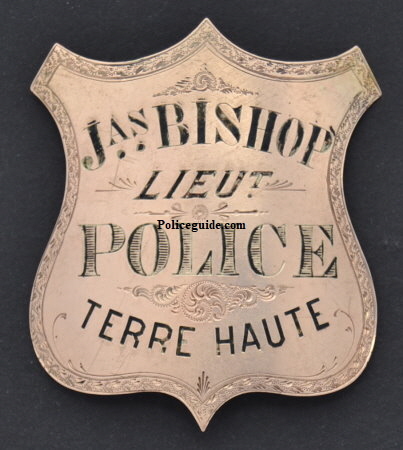 Bishop B the Terre Haute Police Force May 27, 1882. Bishop was born in 1861 in Kentucky. 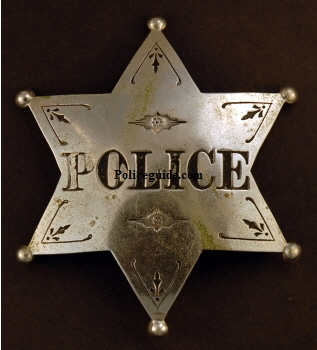 Appointed Patrolman on April 14, 1884 and may have been the first Black officer on the department. Bishop served for 30 years. 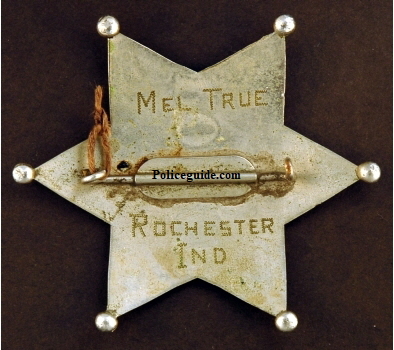 Rochester IN Police badge worn by Mel True.